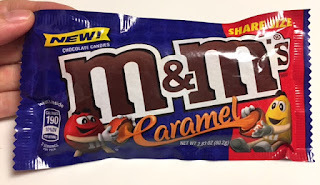 M&M's Caramel flavor was launched in May this year, and I finally tried it in August though my husband had found it for several months ago. 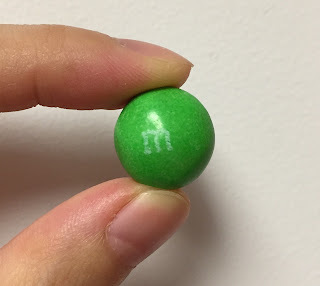 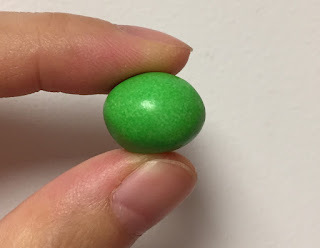 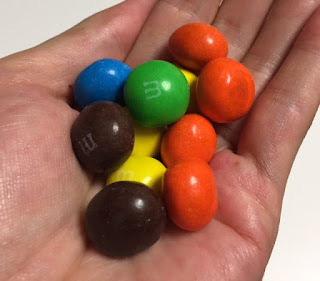 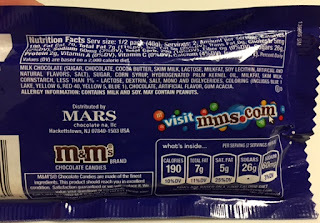 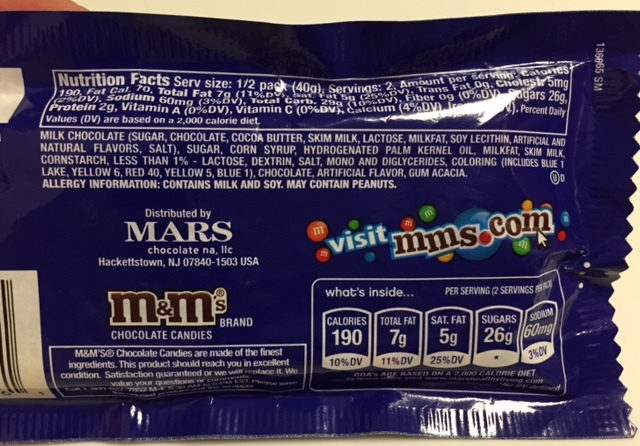 Each candy was similar to a slightly deflated ball, not a disk that plain M&M's chocolate is. It's a little bit smaller than the one with peanut inside. 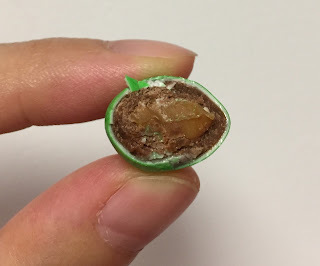 From the very outside, there're sugar coating, chocolate layer and caramel in the center. 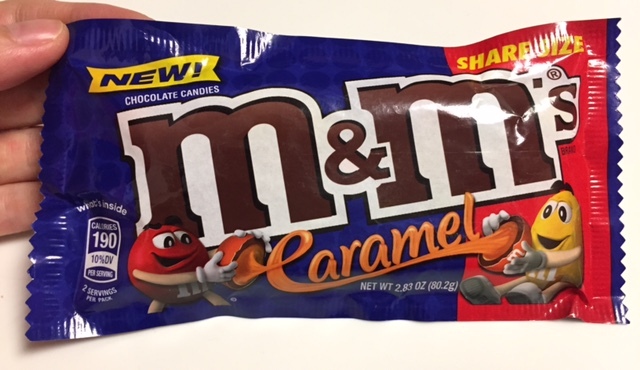 The combination of chocolate and caramel was needless to say very good, but the caramel was chewy and stuck on the teeth.